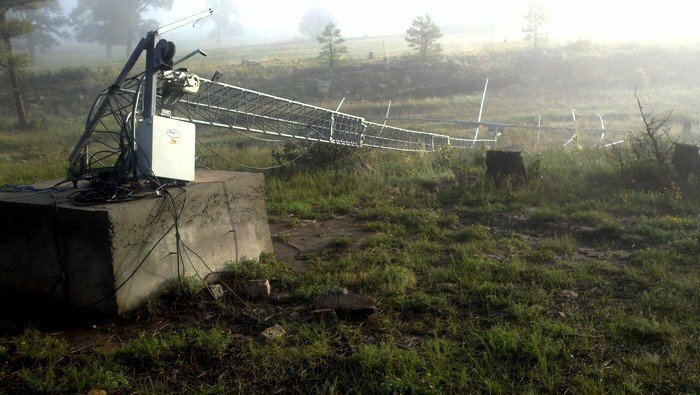 Joe / WD0M recently lost his tower in a mircoburst. What follow are some pictures of the aftermath and Joe's comments. 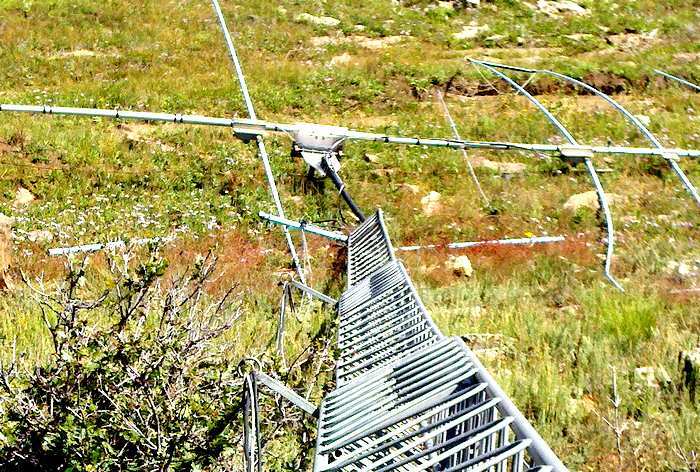 No one was hurt and Joe is working on getting another antenna set up soon. 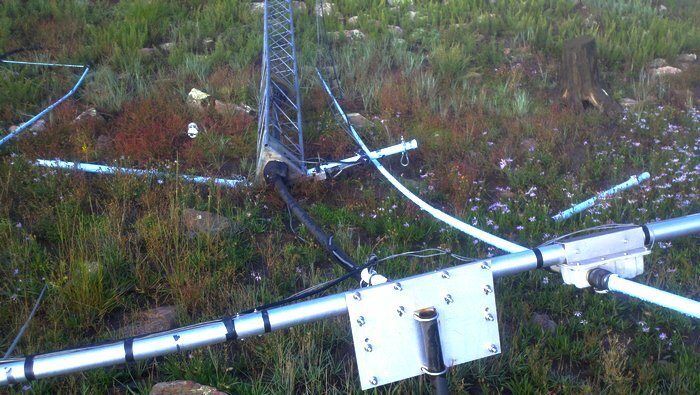 No matter how well your setup is engineered, sometimes nature's wind events are more than it can handle. It was a pretty wicked event - I have a video from the security camera showing everything being blown around - not pretty. The event happened so rapidly (within seconds it hit, then gone) that I couldn't lower the tower in time. The ONLY thing that survived was the TiltPlate. Everything else was destroyed completely. 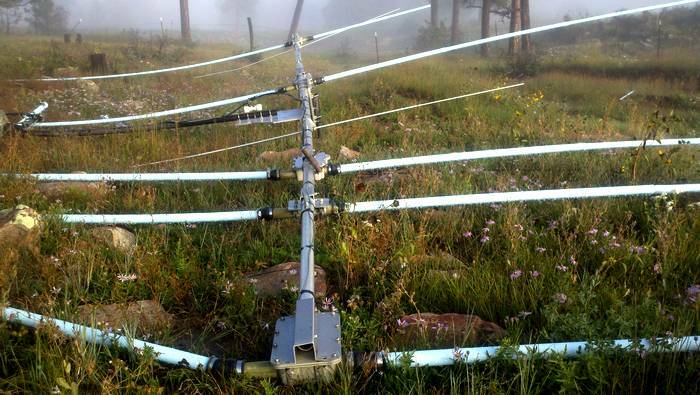 Antenna, tower, rotor, coax, control cables...all damaged way beyond repair. The ONLY thing that survived was the TiltPlate. Would I buy another - absolutely! It's a life saver!